Originally built in 1806 as a working windmill, today Twr y Felin is a luxury art hotel, located in Britain’s smallest city, St Davids, where guests can expect a traditional ‘Croeso Cynnes’ – ‘warm Welsh welcome’. 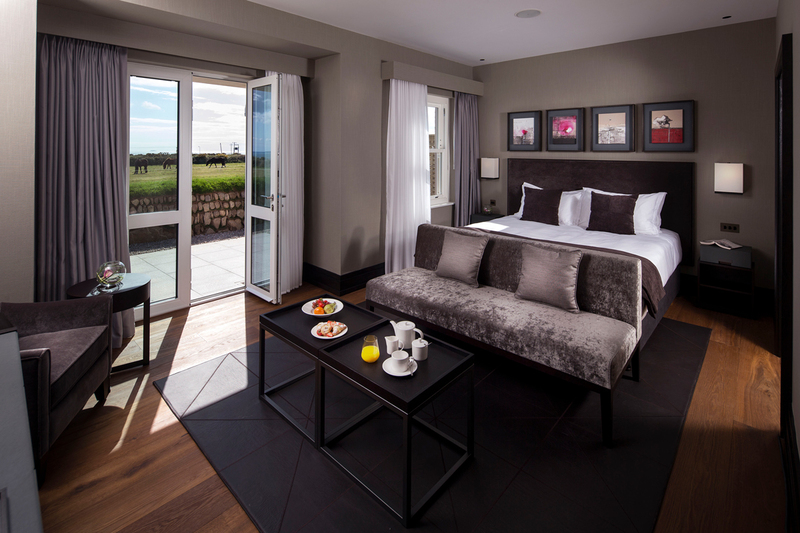 Introducing Wales’ first contemporary art hotel, Twr y Felin, located in the spectacular Pembrokeshire Coast National Park. St Davids Peninsula from its very own observatory. 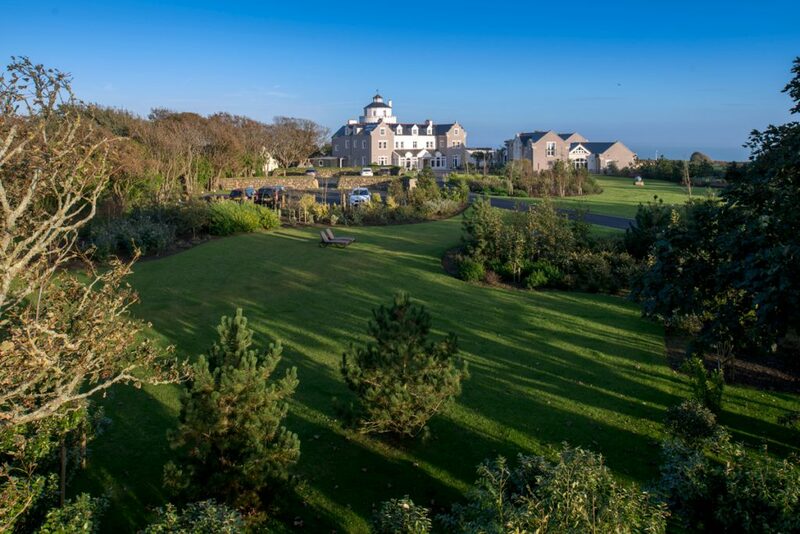 The hotel joins sister properties, Roch Castle and Penrhiw Hotel, as a luxury accommodation provider in the heart of the Pembrokeshire Coast National Park and is the rst fully serviced hotel in the group of heritage properties. Twr y Felin Hotel’s two Rosette Restaurant, Blas – meaning ‘Taste’ in Welsh – offers a menu influenced by the season and locality, with dishes designed to reflect Wales and its produce, whilst Cornel Bar is a pre- dinner art lovers snug and Oriel Lounge is a dedicated gallery space, with a relaxed ambience, perfect for guests to enjoy lunch or afternoon tea. As an art hotel, Twr y Felin features the works of 20 Welsh, British and International artists, including the urban artists Phil Ashcroft, Xenz, Remi Rough, Mr Jago, Pure Evil and Harry Adams. Throughout the hotel are over 100 pieces of specially commissioned art which are inspired by the St Davids peninsula and Pembrokeshire. Pure Evil, whose iconic Nightmare Series works feature in Blas Restaurant, has also produced eight spray-painted portraits to commemorate Welsh icons of song and cinema, with featured depictions of Tom Jones, Richard Burton and Shirley Bassey, among others. Twr y Felin Hotel is situated just a ten-minute walk from the Pembrokeshire Coast Path and the beach at Caerfai Bay. In St Davids itself the 6th century St Davids Cathedral and Bishop’s Palace can be found nestled in the valley, whilst just opposite the hotel, Oriel y Parc National Park Visitor Centre and Gallery offers information on the local area and the changing exhibitions of the National Museum Wales collections. the smallest city in Britain with a population of just over 1,600. The historic cathedral was originally built in the 6th century and was a site of pilgrimage for many hundreds of years. It was considered that two pilgrimages to St Davids, were equal to one pilgrimage to the Holy Land. Pembrokeshire is located in the south west corner of Wales and has a fascinating history, dating back to pre- historic times. The long and varied coastline boasts stunning unspoilt scenery, an abundance of wildlife, more than 50 forts and castles and the spectacular Pembrokeshire Coast National Park Coast Path. Twr y Felin Hotel start from £190 per room per night on a bed and breakfast basis for two guests.